Which European leader visited China on October 29 and 30, 2015? Which of the following events did not occur in 1965 in Southeast Asia? The year 1965 is politically significant in several Southeast Asian countries: Singapore became an independent nation, Ferdinand Marcos was elected president of the Philippines, and an anti-communist purge killed at least half a million people in Indonesia. Singapore separated from the Malaysian Federation and subsequently, an independent government was established led by Lee Kuan Yew. Singapore under the leadership of Lee Kuan Yew became one of the most vibrant economies in the world. Its transformation from a small Third World city state into a prosperous nation with high living standards is one of the memorable development stories of the past century. Which U.S. defense firm was awarded the contract for the Long-Range Strike Bomber (LRS-B) last week? The U.S. Air Force (USAF) announced Northrup Grumman as the winner of a competition to develop its new top-secret Long-Range Strike Bomber (LRS-B), according to the USAF website. 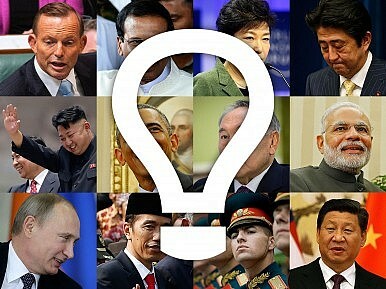 Which Asian leader visited the United States last week? From October 25 to 28, President Joko “Jokowi” Widodo of Indonesia – the world’s fourth largest nation, third-largest democracy, and largest Muslim-majority country – will visit the United States for the first time since his inauguration last year. What can we expect in U.S.-Indonesia relations during his trip? Sources close to preparations for the visit told The Diplomat that the focus will be on strengthening the structural foundation of the existing U.S.-Indonesia comprehensive partnership; deepening defense and economic cooperation; and shaping the narrative of Indonesia in the United States. Indonesia, Malaysia, and Singapore are currently afflicted by a “haze” crisis. What is the cause of this haze? The haze from land-clearing fires blanketing Sumatra, Kalimantan and peninsular Southeast Asia for the past two months has now extended to Papua, with the blame falling on an agriculture development project aimed at turning the easternmost district of Merauke into an unlikely food bowl. President Joko Widodo has ordered a nation-wide moratorium on peatland cultivation as the burning season drags on, exacerbated by what may be strongest drought-inducing El Nino weather phenomena in 18 years that threatens failed crops and higher food prices. On Thursday, October 29, the Permanent Court of Arbitration awarded its first decision in the The Republic of Philippines v. The People’s Republic of China. The court ruled that the case was “properly constituted” under the United Nations Convention on the Law of the Sea, that China’s “non-appearance” (i.e., refusal to participate) did not preclude the Court’s jurisdiction, and that the Philippines was within its rights in filing the case. In short, Thursday’s decision means that the Permanent Court of Arbitration rules in the Philippines’ favor on the question of jurisdiction. With the jurisdictional issue resolved, the case can move forward to evaluating the merits of the Philippines’ legal assertions in the South China Sea. Why did China end its one-child policy? By now, most Diplomat readers probably know that China has officially ended its one-child policy, in a decision announced after the fifth plenum in Beijing (see the other main takeaways from that meeting here). Couples will now be allowed to have two children, ending an over three decade-old policy that restricted families to having one child. The decision was made to “to balance population development and address the challenge of an aging population,” according to Xinhua. The change is big news from a political messaging standpoint – China’s government has been slow to move away from the one-child policy, despite experts from China and abroad predicting a demographic crisis. Part of the problem was that the policy was so lucrative: Beijing has said the government collects around $3 billion a year in related fees, though that figure may actually be a conservative estimate. An independent analysis from a Chinese lawyer found that in 2013, 23 of China’s 31 provinces raked in $3.1 billion in fines. Which of the following states did U.S. Secretary of State John Kerry not visit last week? What did the U.S. Navy do last week that China described as a “a threat to China’s sovereignty and security”? Where in Asia did a major 7.5 magnitude earthquake strike last week?